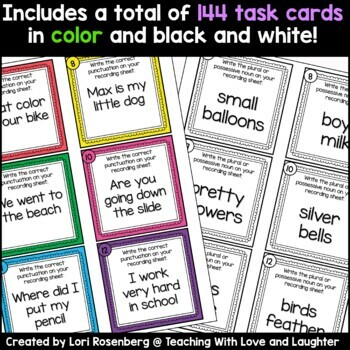 Looking for a fun whole class game or a literacy center activity? This product is BOTH! How exciting is the game of Scoot? It's fast paced and tons of fun for children. Please click on each link above to read the full product descriptions of each pack and to see more images of the activities. ✅Two different sets of cards, each with a total of 24 questions. All sets come in color and black and white. ✅Recording sheets for 10, 12, 18, 20, and 24 questions. The recording sheets come in both landscape and portrait. 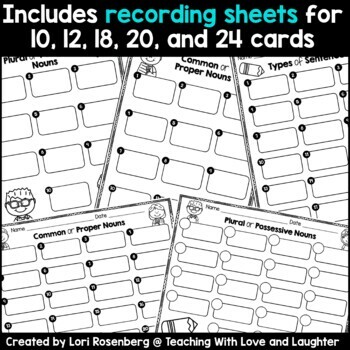 ✅Recording sheets with blank spaces where students can write in the card numbers. Students can choose the cards they want to answer on their recording sheet. There are recording sheets for 10, 12, 18, and 20 questions. ✅Seat/desk numbers for the game of Scoot. The numbers come in color and black and white. 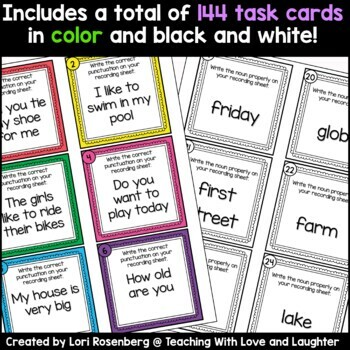 ✅Student directions for task cards. ✅Labels for storing the cards in boxes or baggies. ►Click here to see how my class plays Scoot! 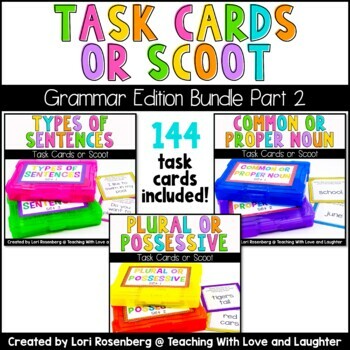 Looking for more Task Cards/Scoot resources? Click the links below to see all of mine! I hope you enjoy this resource. If you purchase it, please leave feedback so you can earn TpT Credits. Purchasing this resource grants permission for use by one teacher in his/her classroom. Please purchase additional licences if you intend to share this resource with others.